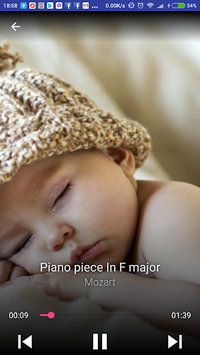 Mozart Music for babies to fall asleep. 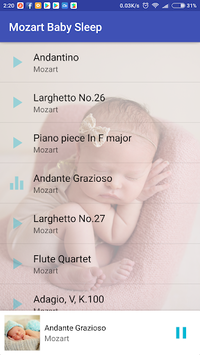 Best Mozart music for babies to fall asleep. 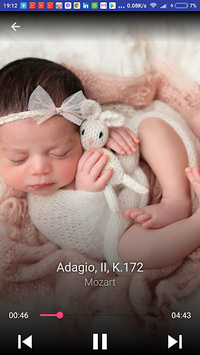 Each track has been carefully selected to provide both falling asleep as soon as possible and Mozart effect as well, which meens your baby brain development, memory stimulation and positive emotions.